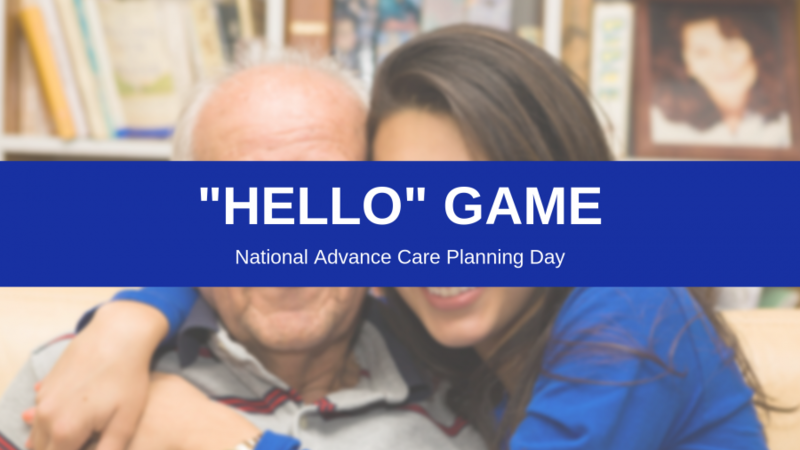 April 16 is national Advance Care Planning Day -- #HowWellDoYouKnowMe? #ACPDay2019. Make your health-care wishes known to your family and health-care providers before it’s too late. This will help ensure your wishes are known and respected. A “Hello” conversation game is planned April 16 from 1-3pm to get you started having this important conversation. Hospice Office (3088 3rd Ave).